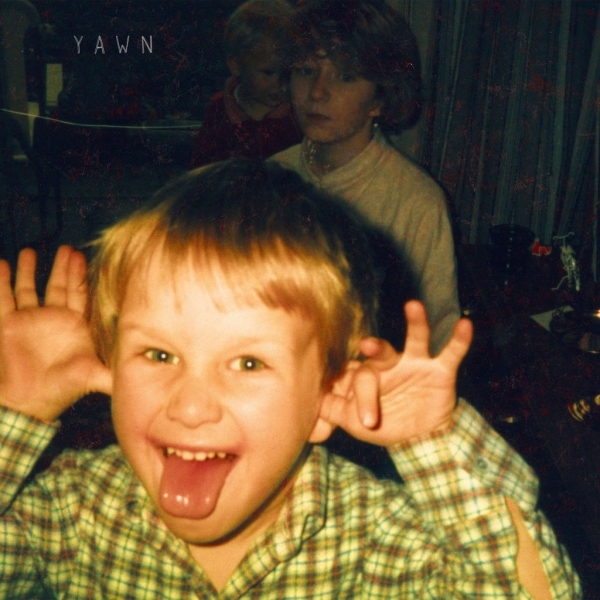 Yawn is uncommonly apt title for Bill Ryder Jones’ fourth solo album. Much of the action here seems to occur in an aural equivalent of the moments between the eyes being closed and sleep taking over, with faded memories, half-muttered thoughts and a hazy sense of unease permeating much of the unhurriedly unfurling expanse of these ten lengthy tracks. That said, there’s absolutely nothing sleep-inducing about Yawn. If listened to without due attention being paid, the album’s uniform mid-tempo, clouded-over crawl-through-dark-deserted-streets can create an impression of an uneventful plod leading to acute feelings of deadening torpor. Give Yawn the attention it deserves, however, and alluring details – guitar figures intricately intertwining, mournful and majestic sweep of cello, ghostly organ bubbling near the surface, gradual push and pull, restraint and release – soon become impossible to miss. Self-produced and mostly performed by Ryder-Jones, the albums intricate yet brawny sound is more decidedly ‘rock’ than anything he’s previously produced either as a solo artist or member of psych-pop retro-ists The Coral. For evidence, check out the screaming, feedback-encrusted wall of guitar noise – which suggests hundreds of hours spent in the instrument-tormenting company of, say, Sonic Youth and Dinosaur Jr. - that gradually floors and pummels the gentle indie folk-rock jingle-jangle of the seriously beautiful opener “There’s Something on Your Mind.” Add to this Ryder Jones’s decidedly unassertive, half-whispered mutter of a voice, and you’ve a record with a captivating capacity to combine visceral physicality with a profound, all-pervasive sense of dreaminess and vulnerability. None of which would mean anything if the material wasn't up to scratch. Thankfully, Yawn delivers in the area that counts the most. 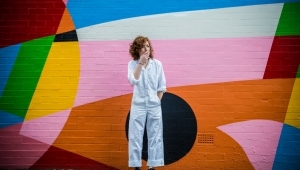 Ryder-Jones operates in a zone where it’s difficult to distinguish between autobiographical musings and convincing character studies; considering the heaviness of some of the subject matter, you hope the contents land mainly in the latter category. 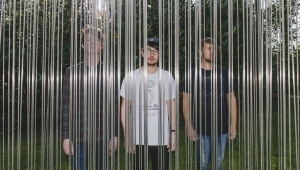 It's not faultless: a couple of near-stagnant tunes demand just a little but too much patience and concentration before they fully cohere, and the liberally sprinkled walls of guitar crunch can at times evoke the greyer terrains of the grunge era. But it's easy enough to forgive the occasional stumble into leaden monotony when faced with, say, “Mither”: a cello-enrichened, muscular and melodically complex mini-epic that comes across like Red House Painters after several trips to the gym. The minimalist acoustic balladry of “Recover”, meanwhile, combines the stark storytelling of Mark Eitzel and Bill Callahan with the ethereal blues of Nick Drake. Even better is the impossibly moving, bone-weary “No One's Trying to Kill You”; at the risk of completely misreading the song's point, the quietly grand track, equipped with the albums most indelibly haunting melody - imagine a grade 1 Richard Hawley ballad set to the glacial grandeur of early Sigur Rós - seems to perfectly capture the exhausted resignation that follows once the waves of fear of a full-blown anxiety attack subside. ‘’ I see faces in the trees / and the sea it always spits at me’’, Ryder-Jones whispers in the tones of a brooding ghost, the song’s all-pervasive air of fatigued hopelessness, of a mind at battle with itself, alluringly at odds with a melody gorgeous enough to stop time. "There's a fortune to be had, from telling people that you're sad’’, Ryder-Jones sighs at one point. It's a statement loaded with sarcasm aimed at the calculated upsets of the misery industry, and perhaps a bit of self-deprecating humour as well, as the songwriter, multi-instrumentalist and producer does by now seen constitutionally incapable of locating the sunny side of the street. Sincere, moving and musically ambitious, if there ever was a record that deserved to elicit a Midas-like process of transferring sadness to widespread success, it's this one.